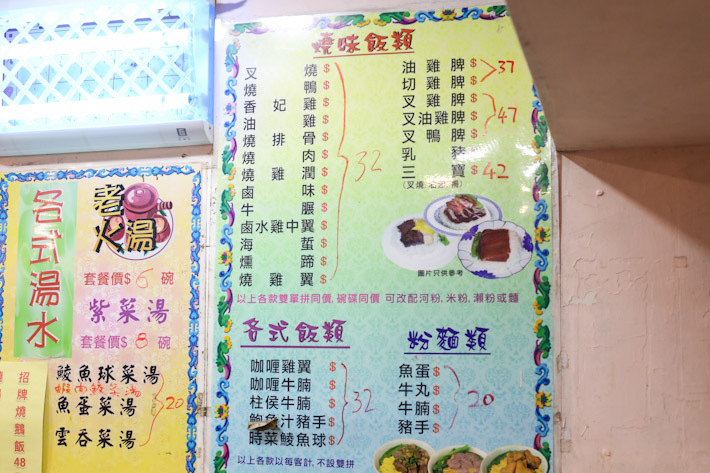 Tucked away in Wanchai, Joy Hing’s Roasted Meat is a Cantonese roast stall that serves excellent roast meats—char siew, roast duck, roast goose, soya chicken and the likes. There is nothing fanciful about this place; just your typical Hong Kong-style ”rundown” eatery with tables and chairs that are all cramped up so there is barely space to move. But hey, that’s quintessentially Hong Kong, right? We still love a meal at Joy Hing; we always do. 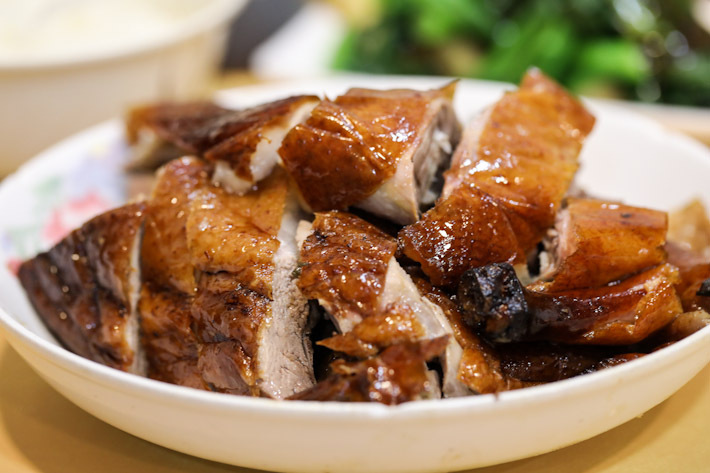 It has one of the most affordable prices in Hong Kong; a plate of roast goose rice is HK$47 while half a roast goose will only set you back by HK$220. The beautiful poultry is roasted to produce a shiny, crisp skin; the inside is very tender and very fatty. Dip it into the homemade sweet plum sauce for an explosion of flavours in your mouth. The most common order of Joy Hing’s Roasted Meat is the Three-Treasure Rice (HK$25) which comprises soya sauce, roasted duck and char siew atop steamed white rice. Three types of glorious meats all on one plate; that is sheer enjoyment. You’d be happy to know that the staff at Joy Hing’s Roasted Meat are (mostly) friendly. You wouldn’t be subjected to verbal abuse and all that shouting like you would at the other (in)famous eateries.